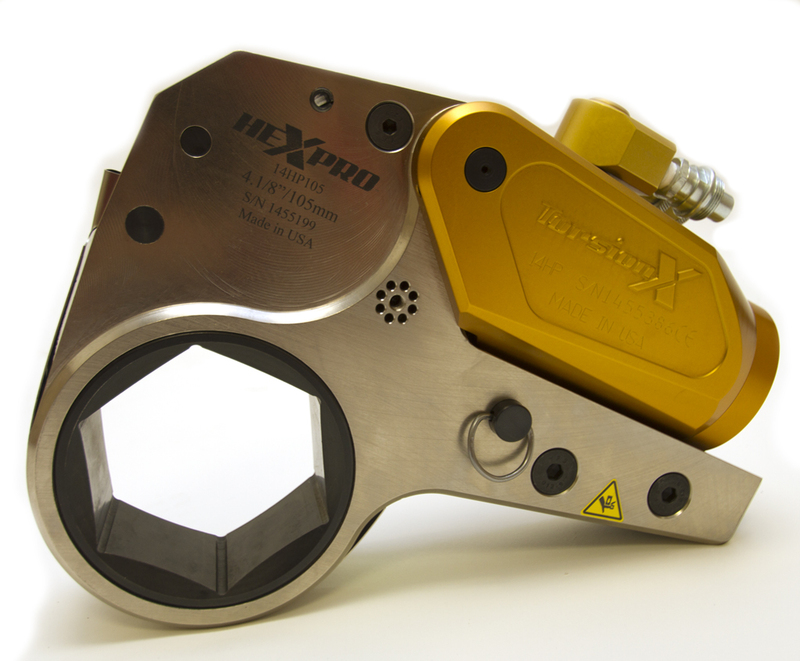 Whether you’re offshore, in an electric power plant, or in any other situation where you need to deliver high torque in a limited space, there is an Industrial Bolting Technologies® HexPro™ Torque Wrench that meets your needs. The versatile HexPro Series supports an extensive range of interchangeable hexagon ratchet links that deliver a torque range of 150 ft-lbs. to 30,000 ft-lbs. They deliver precision torque during bolt makeup and maximum torque during bolt breakout.